A nice photo of our latest visitor - Chisato. We have been lucky because we get a few long-term visitors particularly women. It is probably because we have Nellie who is a very good female coach. Not so long ago we had Pia from Germany and now we have Chisato from Japan. 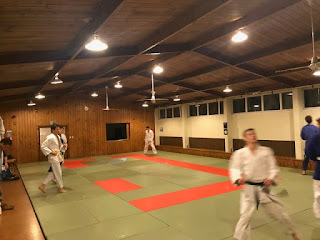 Both were competitive Black Belts with really nice technique and have improved our Judoka's performance. 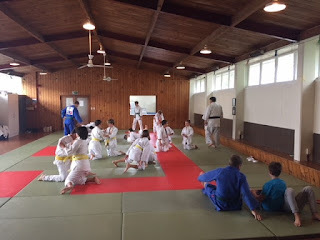 Visitors lift our game because in many countries Judo is a much stronger sport. 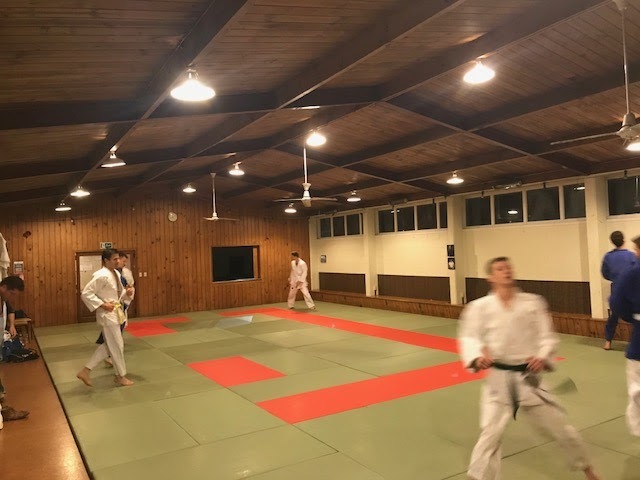 Also they often have different styles of Judo, exposure to which, improves our Judo. Finally, it is really good for Big Judo's young women to meet strong female players so they know that there is a pathway for them in the sport. Both Pia and Chisato have helped out with training and we really appreciate having them as part of the Big Judo family. Great day on Saturday, nice adults class followed by a BBQ to farewell Jacob who is off to Japan this month. We look forward to him coming back even better. Good luck. Another set of nice photos sent in by a parent - Thanks heaps Mike. Little kids lined up and ready to go. Kids in action on the ground. Term Two kicked off this week and we had lots of kids on the mat. It was awesome if we can start the winter with large classes we are in a really good position to have a great year.